Day 2 of our Alaska vacation found us in Seward, Alaska, where we lucked into a really terrific boat ride our on Resurrection Bay. We hit the road, er, the water, around 10:30 a.m. and took a six-hour cruise. I would have been happy with another six hours, it was incredible. 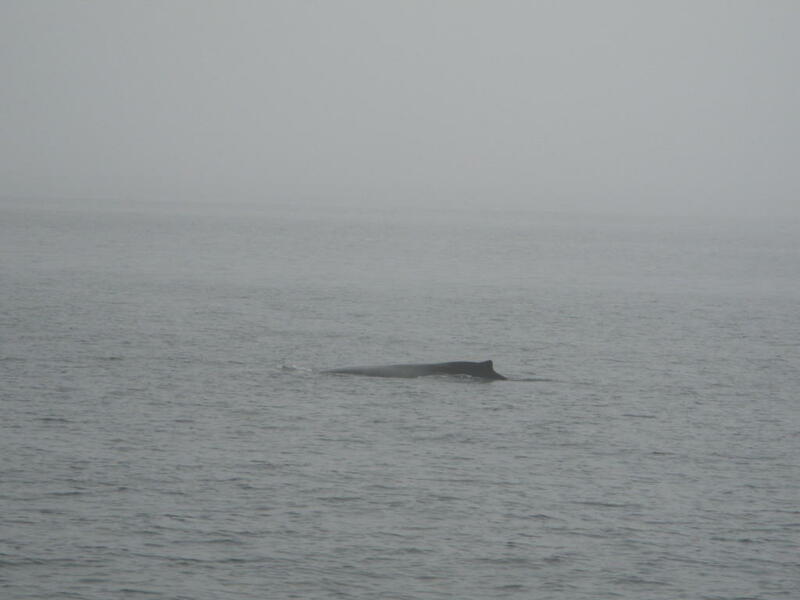 Next, we stopped at a glacier near Seward and watched it calve for a good half-hour. 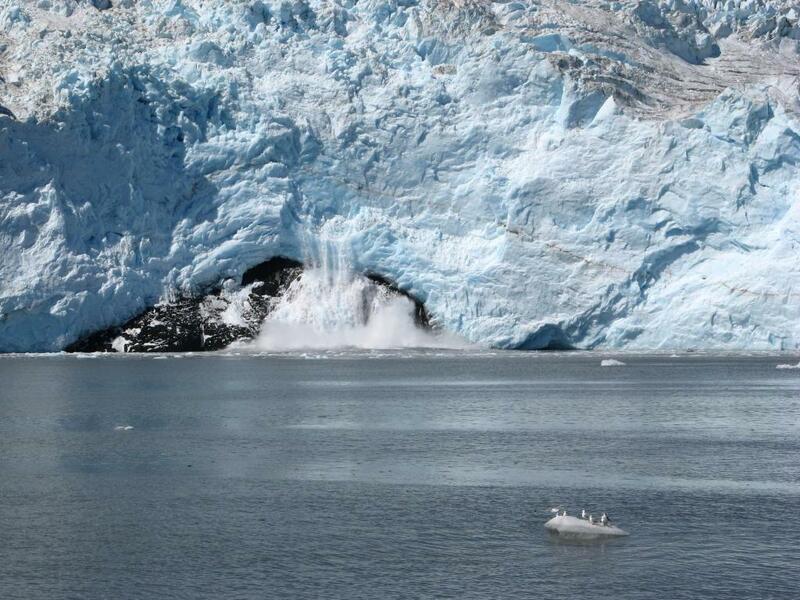 If you've never listened to the sound of a glacier calving, you haven't lived. 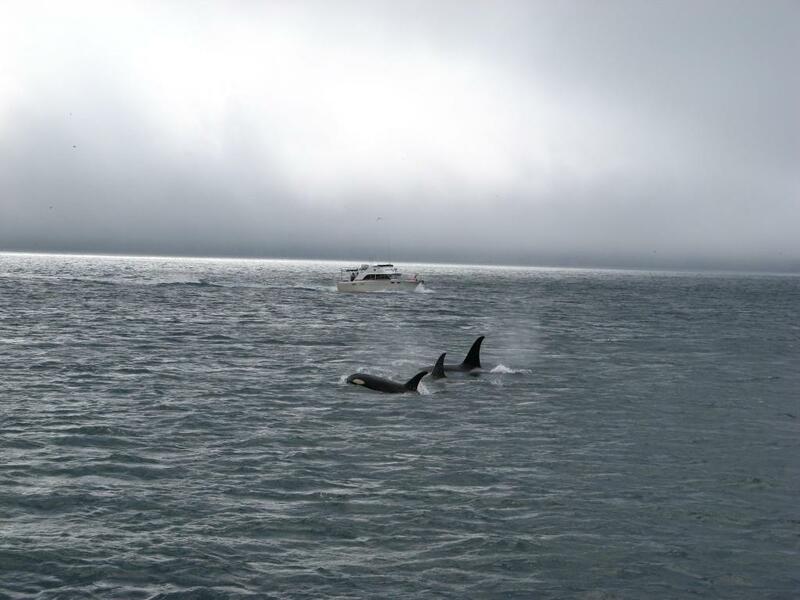 Next, we had great luck in also running into these killer whales. What would Steve Irwin say? "Look at them, aren't they magnificent?!" What a day! 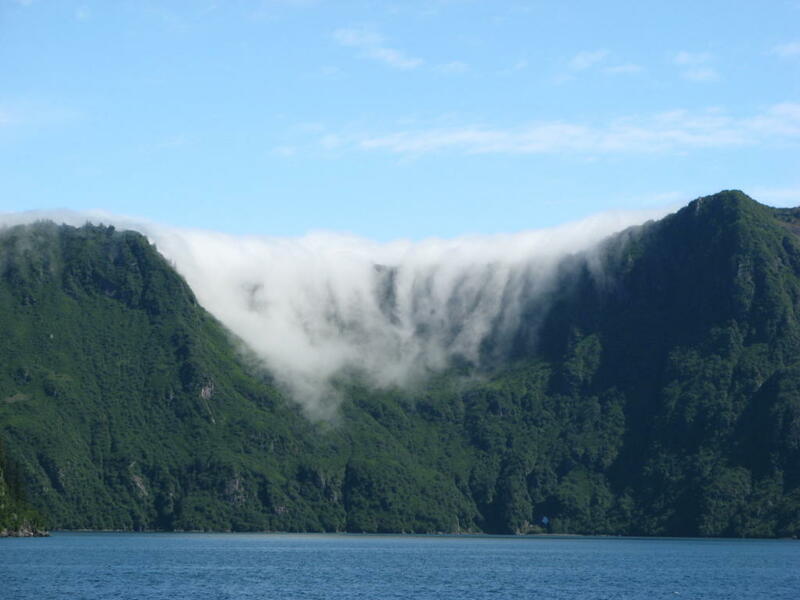 Finally, here's some cool fog rolling in over the top of a mountain on the other side of Resurrection Bay in Seward. I think this is caused by a glacier on the other side of the hill.